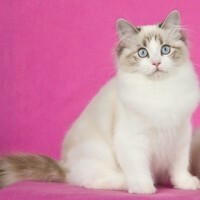 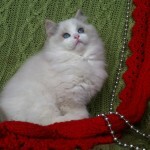 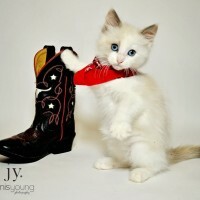 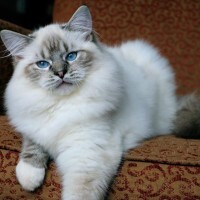 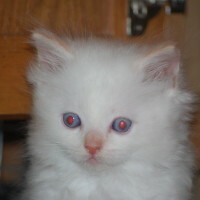 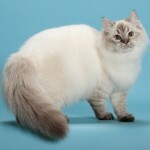 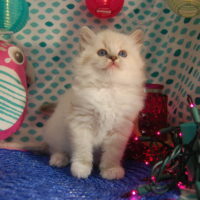 The Ragdoll comes in many pointed colors, just like other non related pointed breeds such as the Siamese or Himalayan. 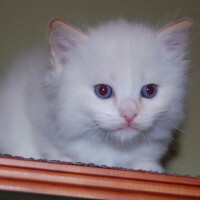 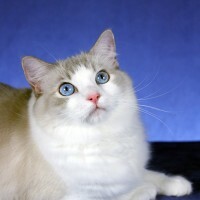 All pointed cats will have blue eyes as the two genes are hand in hand but Ragdolls are not deaf like (some) solid white cats with blue eyes. 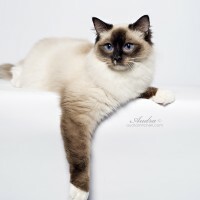 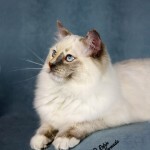 I work with standard pointed Ragdolls such as; seal, blue, seal tortie, blue tortie, seal lynx, blue lynx, seal torbie, blue torbie, red, and cream. 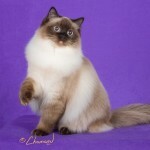 I do not work with chocolate or lilac pointed Ragdolls. 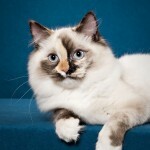 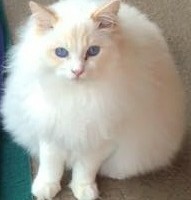 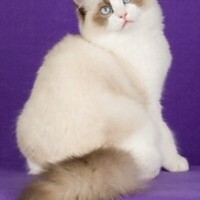 In addition to point colors the Ragdoll also comes in 3 patterns; colorpoint, mitted, and bicolor. 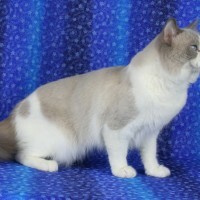 Colorpoint having no white, mitted having white paws, and bicolor having white on their face and the complete bottom half of their body.